SKU: PP043. Category: Paintings and prints. 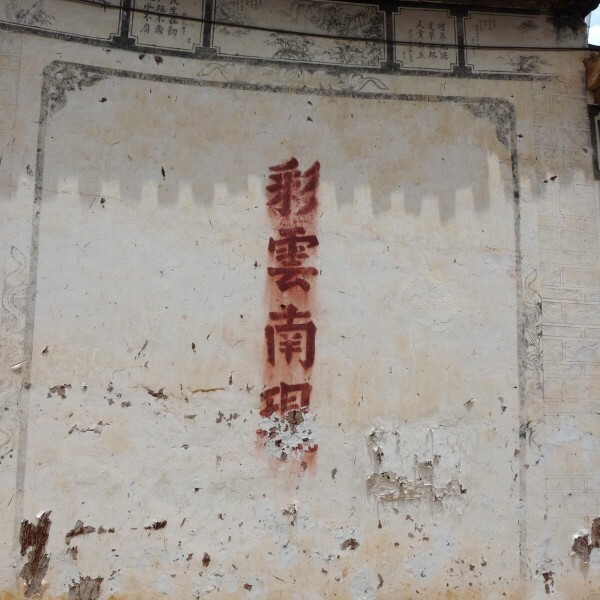 Tags: china, photo, print, yunnan. 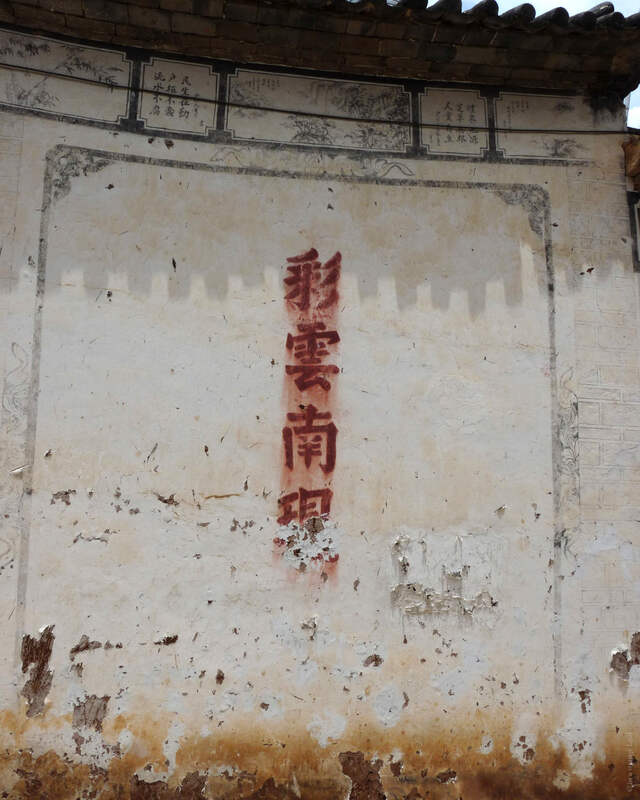 As you wander around the quaint backstreets of Shaxi and the surrounding villages, you will notice people decorating their walls with script like this. The Bai people who live here have beautifully painted courtyards too. The characters in this image say ‘The clouds of Yunnan are bright and colourful’. Yunnan itself means ‘South of the Clouds’ which is a reference to the pleasant year round climate of the province.